This post suggests some best business laptops with high-quality performance to carry out the work efficiently. I have discussed much information related to the laptop and it is one of my favorite gadgets. Yeah, I have written an interesting topic “Can a tablet replace laptops?” for my visitors. I received more no. of votes and favors for laptops. I do agree with their views that the Laptop is better than Tablet in many aspects. I believe that you’re familiar with the benefits of the laptop like high durability, usable in any condition, efficient and secure to use. Business people have to accomplish a unique set of needs which would vary according to their field and profession. So they need to select the laptops with portability and reliability to ensure that it matches all their business requirements. They have to make sure that their laptops are safe from issues such as Laptop running slowly, Black screen windows and so on. Here, I come with a beneficial post for business people to pick a suitable laptop based on their needs. How To Choose Laptops For Business? 1. Thin and light widescreen laptops with good input/output selection features. 2. Energy-efficient with long battery life laptops. 3. Ultraportable Laptops with touch screen facility to experience an ultimate business workplace. 4. Excellent connectivity features with wireless options. 5. Comprehensive warranty and other accessories. I hope that the following best business laptops would meet these qualities as they are specially made for corporate necessities. Lenovo ThinkPad T series Laptops are specifically made of business dedications and Lenovo ThinkPad T440s is best suitable for business needs as it would perform well for demanding productive work. Its graphics and battery life are really respectable and it would not produce much heat while working. Its excellent IPS touchscreen with robust chassis design makes the system perfectly fit for dynamic work and it stays as the attractive business class laptop in the market. Let’s check its key specifications now! It is an Ultraportable laptop with Windows 8 OS. Its screen size is 14” with IPS LCD technology. It has 3 ports for USB, port options for VGA, Ethernet and mini display port. Its connectivity and media features are good and it is NFC enabled. 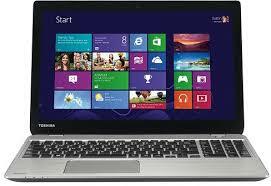 Toshiba Portege Z30-A1301 has office-friendly features and so I listed it under the business-oriented laptops. It is made up of durable magnesium alloy which has an elegant and high-end look. The user could feel more comfortable with its keyboard & touchpad and it is easy to carry since it is light in weight. Its stronger performance, excellent battery life, plenty of expansion options makes this gadget more appropriate for business purposes. Latest “Haswell” CPU, fingerprint reader, Smartcard slot and DTS sound system are some of the notable features of Toshiba Portege Z30-A1301. Have a look at its significant specifications now. Its processor is Intel Core i5 4300U with HD graphics 4400 adapters. This LED Ultrabook comes with Windows 7 professional. Connectivity features are pretty good as it contains 3 USB ports, two video outputs, SD card slot, Ethernet port in Gigabit and some more extra options for networking. To meet the high demands of business customers, Dell has introduced its Latitude series with Haswell architecture. Hence, Dell Latitude E7240 comes under the list of best business laptops and it uses Intel’s fourth-generation Core I CPU. This compact business Ultrabook has an attractive carbon fiber design with premium features. Even though it has an average battery life, its solid performance with strong security structures would make this appliance more fit for business commitments. Moreover, its fast transfer speed and tremendous graphics performance make this device to stand with the credit “best-looking business laptop”. Its processor is Intel Core i3-4010U with Haswell CPU. Apart from the USB ports, it has HDMI interface and a mini Display Port. Card reader, Gigabit LAN, and sufficient interface to connect peripherals are the additional connectivity features of Dell Latitude E7240. Sony has presented its Vaio Pro series precisely for business and travel purposes. Sony Vaio Pro 13 is the world’s lightest business-friendly laptop. It is made up of carbon fiber which contains buzz-worthy features. As it has integrated with the Haswell system, it has speedy performance and improved battery life which is capable to perform everyday tasks. The user could have an upright experience with its Full HD triluminous touchscreen and robust sound feature. Although Sony Vaio Pro 13 has concerns in webcam and heat generation, it is a very good ultraportable gadget with a remarkable presentation. Go through its vital specifications now. 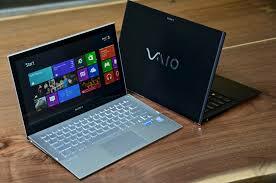 The OS of Sony Vaio Pro 13 is Windows 8 Pro with Intel Core i5-4200U processor. Its screen size is 13.3” with LED-Backlit LCD display type. This 1.6 kg device contains 4GB RAM. NFC, Bluetooth, WI-Fi, 2 Ports for USB, full-size HDMI port and extended battery connector are some of the outstanding networking features of Sony Vaio Pro 13. 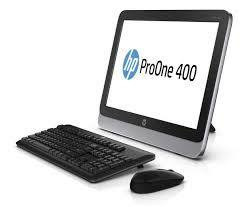 HP Pro X2 410 is the recently launched laptop from HP exactly for business requirements. It is a Laptop-Tablet hybrid type, where the user can detach the cover to use the screen as a Tablet. As it has the capability of accessing the applications quickly with TPM security module, this device seems more business-friendly and would meet the industry needs. It is one of the best budget laptops and it has been unveiled at 2014 International CES (Consumer Electronic Show) in Las Vegas, USA. This powerful Notebook uses the Intel Core i3 and i5 processors and SSD (Solid state disk) to store files. It is pre-loaded with Windows 8.1 OS with Intel Core i3 or i5 processors. It has good networking features and essential ports like other laptops for enhanced connectivity. ACER Travelmate TM P645-MG-9419 is an excellent choice for corporate users as it has a fast processor, long battery life and distinct graphics features. This thin design Notebook would let the business people carry their works with ProShield security options. 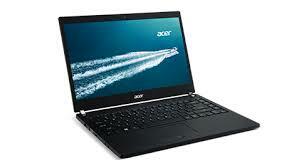 This is the latest best business Ultrabook from ACER which is well-built and more functional. It is made up of carbon-fiber with elegant design. To protect against advanced Malware, this durable laptop has outfitted with Intel VPro technology. Moreover, this extreme business tool includes office management software to manage clients and other devices in a particular network. 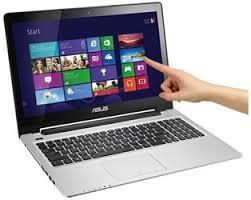 Its operating system is Windows 8 Pro with Intel Core i7-4500 processor. The size of its screen is 14” and it is a Full HD IPS LCD display. It has 8 GB DDR3L memory with 256 GB SSD. Its battery is Lithium Polymer and its connectivity features are pretty good like the above-discussed Laptops. Asus VivoBook S550CB CJ123H has a stylish look and a highly durable device since it brushed with Hairline aluminum texture surface. It has a slim design which is easy to carry and intuitive computing feature. Also, its powerful processor with a dedicated graphics card with clean touchscreen makes this instrument more appropriate for commercial needs. It is an excellent user-friendly gadget with its instant functions and quick settings. 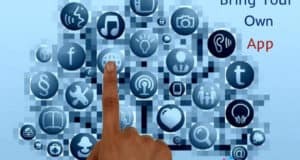 As it uses Smart gesture technology, it would let the user feel more comfortable while dragging, clicking and scrolling. Superior hardware, ultimate sound experience, cloud-based web storage are the few extraordinary features of Asus VivoBook S550CB CJ123H. It has Ethernet, wireless LAN and Bluetooth features for communication with Multi DVD optical drive. Choosing the best business laptops is somewhat difficult since there are an exceptional array of models with good specifications are available nowadays. Introduction of powerful machines with Intel’s Ultrabook and Notebook format preloaded with Windows OS makes these gadgets more perfect for business needs. If you are a laptop finder to handle full day office work, I would suggest you to choose any of the above discussed new technology laptops to perform your prerequisites. The price of each laptop may vary with the configuration. What is your outlook with these best business laptops which has good quality performance? Share your thoughts in the comment section. Laptop information is excellent but I have personally used Toshiba, Samsung and Acer. I prefer Acer because you would get everything within your budget. And Acer parts are very good. Yeah, Acer is really good and I too use the same. I used to work more than 10 hours daily with it. Just wondering with its durability and stable performance. I use dell and happy with it. But I think these days all companies become more smart in launching their product, eco friendly and user friendly laptop. you can get almost all companies laptop with its prompt services. Nice view as usual.. Most of the brands are producing the laptops with more durability with high-quality features and hence it would be perfect for business needs. I appreciate your prompt arrival, i think that i should spend few mins to read your posts and to leave comments. Dell is reliable with good efficiency. Am not using it, but one of my friend is having and he is happy with its good performance. I use a Toshiba. So far so good. I will also use my new tablet more to interact, upload videos and do other basic things…..but when it comes to my preferred choice I agree with your poll. 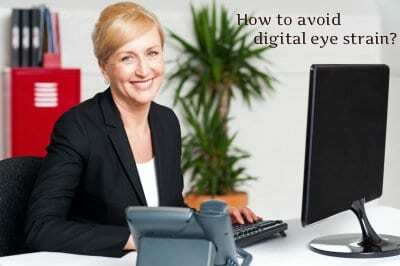 It is easier to type posts and do other intensive activities on a laptop. I could guess “How you use your laptop”. Writing blog posts and comments, uploading videos and few more services with your Lappi confirms that it is an efficient gadget. 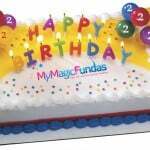 Keep coming here to grab more beneficial tech data! I use Dell for 6 months now, so far no problem. But I really like Lenovo laptops, there were countless models that match our requirements. 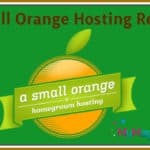 Welcome to my blog Naveen and thanks for sharing your laptop views with us. Sony Viao is my choice as its just awesome !!! All information given by you is really helpful and i personally like Sony Vaio Pro 13 it’s awesome , remaining are also good . Thanks for sharing . Welcome to my blog Sonam Sharma and am glad with your complimentary words. wow! It is really amazing at those price range. Very good post nirmala mam. Sony Vaio Pro 13 seems pretty awesome in the listed ones. I was also planning to get one for my new business startup. It is really good that you’ve planned to buy a new laptop for your business and thanks for sharing your favorite brand with us. I hope this list of best business laptops would help you to buy a suitable one according to your needs. Great list nirmala mam. Thanks for sharing this with us. Awesome list every business seekers are searching for thsi list. I don’t think HP is a good brand because It has heating problem. Dell is the best and then Lenovo in my opinion. Thanks for sharing such worthwhile tech information. 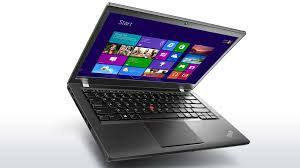 If someone is looking to buy fastest and high quality lappi, then I will suggest for buying Lenovo thinkpad only. Really awesome laptop. 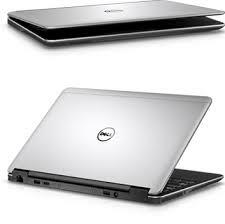 Dell latiute is always best budget laptop for business and home use. Thanks for sharing Nirmala. Great reviews of laptops, all the listed laptops are really great for business and I think any one who are planning to purchase one then they can pick one. All latest…. Awesome lappy… I liked the last one. Low price and powerful too. Nice comparison between the best business lappy’s available. My favorite brands from the list are Dell and Sony! If I could get one in future, it would be surely manufactured by either of these brands. 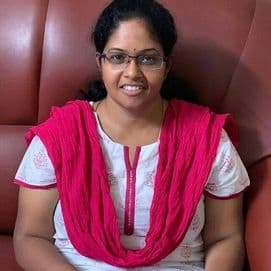 Hi Nirmala, Its really a very good post for me and newbies bloggers in it field like me, I am very helpful from this post. thanks to you for sharing such an article.. The Lenovo ThinkPad T440s is awesome especially with the NFC capability. You have indeed compiled a great list of high grade laptops even though i think their prices are ridiculous. Nice reviews and thanks for sharing. I found this post on kingged.com and left a comment there. Some great laptops in this list. I am using an Acer inspire. It’s been pretty good, so far, but am looking into a Lenovo 10″ screen for travel. I find the Chrome Books don’t have the capacity to do what I need. Thanks Nirmala for specifying Laptops and their prices. I would stick with Acer and Lenovo laptops as they are affordable and packs a powerful configuration. Dell and Sony offer best Laptops for both entertainment and gaming. Dell Latitude E7240 is the best for me. I liked to read this article. Thanks for sharing. Keep writing good. Glad you liked this post Bolly Mirror, keep coming to grab some useful data related to technology. Cool collections. thank you. Sony Vaio Pro 13 is great. Thanks Andy for adding your comment!